A colleague came to me the other day asking my opinion about the options for his new laptop. After discussing back and forth and going through quite a few models, he ended up with Lenovo’s X1 Carbon. It’s a great laptop, powerful, portable, light and thin, and works out great for my colleague. But still, the lack of built-in docking capability makes the Carbon to use at work less convenient. Honestly, I’d rather picking ThinkPad T440s instead. 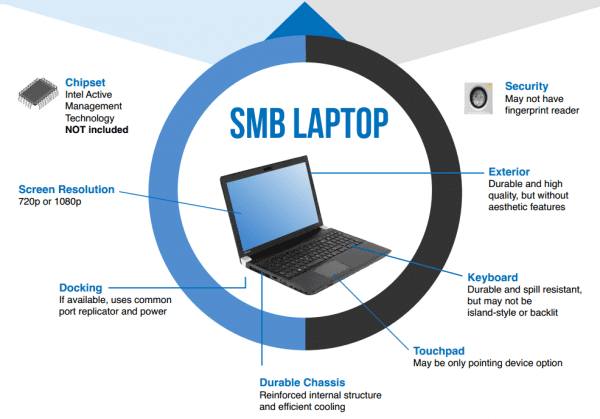 So what’s the sweet point when it comes to picking a right laptop for your right work? Paul Thurrott, the guy behind Supersite for Windows, explained in a webcast published on WindowsITPro that small and medium sized businesses can make tradeoffs between essential and nice-to-have features. Thus, these tradeoffs can result in considerable cost savings. Use the resources below to learn which PC components are actually required and which can be eliminated. So check out his Infographic and white paper to find out what are the key points when picking up a right laptop for your work. Or, you can watch the archived webcast for more.